This weekend you’ll find me at the Fabulous Places Christmas market. 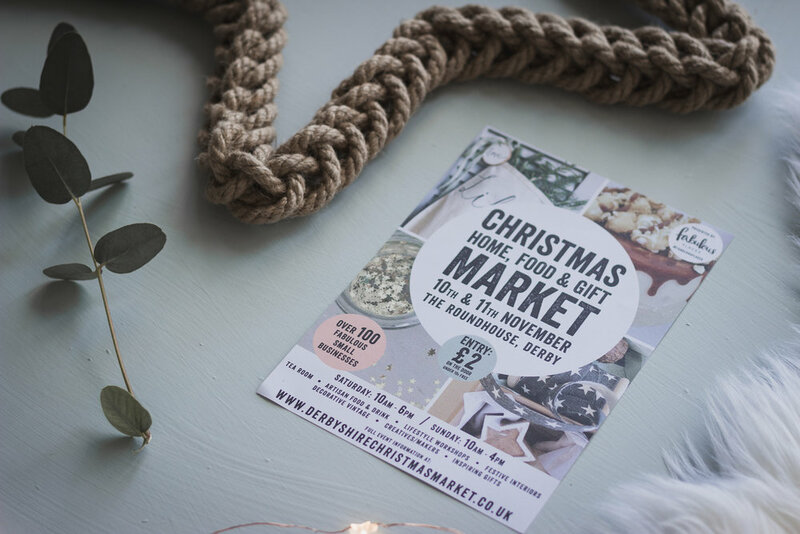 I’ll be there on my stand with my rope wreaths alongside lots of carefully curated traders and makers sharing all things Christmas with visitors who come along to this lovely event. Run by the amazing Deb from Fabulous Places, this market is a mecca for anyone who looks for handcrafted creations and Christmas gifts that are that little bit special. Throw in fairy lights, fizz and food stands serving the most amazing goodies and you’ve got yourself a rather lovely day out. I’ve designed some new star rope wreaths especially for the event and along with my heart and traditional circular wreaths I’ll will be packing them up in my car and hotfooting it over to Derby for the weekend. I can’t wait to soak up the atmosphere and meet lots of lovely visitors stocking up on their Christmas shopping. The market is on all weekend and doors open at 10am. You’ll find me on stand 73, do say hello if you stop by, I’d love to see you there.